You searched for ESL programs in Pennsylvania. Below you will find a listing of all ESL programs in Pennsylvania - click on any program to view more information, or refine your search within Pennsylvania by city. Most states have many English as a Second Language programs, with schools and locations offering ESL programs and locations to suit every need. Please use the form below to refine your search even further and find an ESL program in Pennsylvania that is right for you! Germantown Christian Assembly 610 East Mt. Pleasant Avenue Philadelphia, PA 19119 Free conversational English language classes every Tuesday from 6-8 p.m. March 10 - June 9, 2015. Free dinner served at 5:15 p.m. Childcare will be provided. Beginners, intermediate & advance classes are available. Afternoon and evening English as a Second Language classes for students of all levels. Free classes in English, computers, and citizenship to immigrants and refugees in Bucks, Montgomery, and Hunterdon Counties. 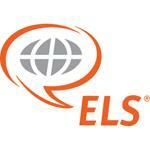 Private and semi-private ESL instruction individualized to the specific needs of the individual. Available to corporations and individuals. Instruction in person, on-line with real-time audio and video, and teleseminar sessions. Lock Haven University of Pennsylvania Located in rural central Pennsylvania. Supportive academic setting. Short or long term IEP programs as well as study tour programs. Small, accessible university campus and community. Free English (ESL), Computer, and Citizenship classes for adult immigrants and refugees. Free connections resources to help with jobs, housing, healthcare, and more. ESL class is held at 550 W Palmer St. on Monday and Wednesday evenings. Students may join classes at any time. Please register and see schedule online at www.welcomingthestranger.org.